America is changing dramatically, according to Census data released Sept. 27. In some ways, the nation is reversing previous trends; in others, it is forging completely new paths. The country is becoming both more integrated and more segregated. Most notably, the term “inner city” appears to be casting off its negative connotation, which came about during the crack epidemic of the 1980s; the trend toward suburbanization has reversed, and Americans are now moving en masse back into “downtowns.” As a whole, the nation has been consistently becoming far less rural. According to the Census bureau, “downtown is becoming not only a place to work but also to live. While metropolitan areas tend to be growing, those with five million or more residents increased on average by double-digit percentage rates between 2000 and 2010. The only two outliers were New Orleans – for obvious reasons – and Baltimore, whose downtown area decreased by 10,000 people. “Downtown” is defined as within two miles of the central city’s city hall. For example, this would mean for New York City lower Manhattan and extreme northern sections of Brooklyn. 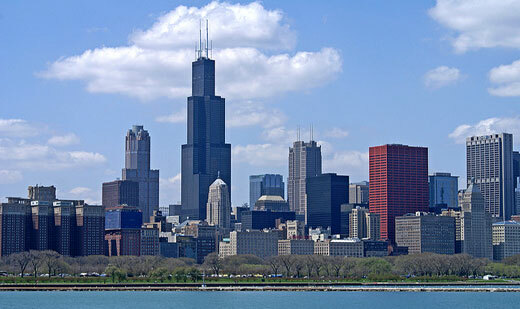 The city that had the greatest increase within this two-mile radius was Chicago, where 48,000 people moved into the area. Runners up include New York, San Francisco, Philadelphia, and Washington, D. C.
The major population losers in metropolitan areas are inner-suburbs. Metro areas include core cities, suburbs, and border areas on the periphery of the area. Downtowns tended to grow, but so did the more far-flung periphery areas, while inner-suburbs tended to decline. A key phrase in Wilson’s statement is “non-Hispanic white.” This group, the same that fled urban cores in the 1970s and 1980s, is powering much of the demographic shift: whites are moving back to the inner city. This is shown in a decrease by ten or more percentage points in that group’s population in suburban Census tracts. This data corresponds with the notion of gentrification, a complaint by many African Americans, Latinos, and lower-income whites, who argue that people with higher incomes are now flooding central urban areas, creating a demand for housing and driving up the cost of living. This, in turn, causes many to leave for other areas, including the suburbs. And while these facts seem to indicate a nation that continues to be segregated along racial and class lines – class seems to be a factor, though that information is not yet available – other information seems to show that the American people are becoming far more integrated. From 2000 to 2010, the population grew in all categories. It has been widely reported that now newborn babies or non-white origin make up majority of the population in that age group. However, faster growing than any single ethnic group is the number of people who report being members of multiple races or ethnic groups. Additionally, the Census bureau found that one in ten Americans now live either in the New York or Los Angeles metropolitan areas; the Hispanic share of the population grew in every metropolitan area; metro areas with the lowest median ages were in Utah, Idaho, and along the U.S./Mexican border; and eight in ten Americans live in metropolitan areas, though they cover only roughly a quarter of the nation’s land area.